A business woman who has helped raise hundreds of thousands of pounds for an inclusive dance charity has been nominated for the Business Woman of the Year award in the 2018 Enterprise Vision Awards. Dawn Vickers, 49, is recognised for her role as Managing Director of Lancashire charity DanceSyndrome. DanceSyndrome is a multi-award winning organisation that delivers inclusive dance workshops and dance leadership training, as well as inspiring performances that demonstrate a focus on ability rather than disability. 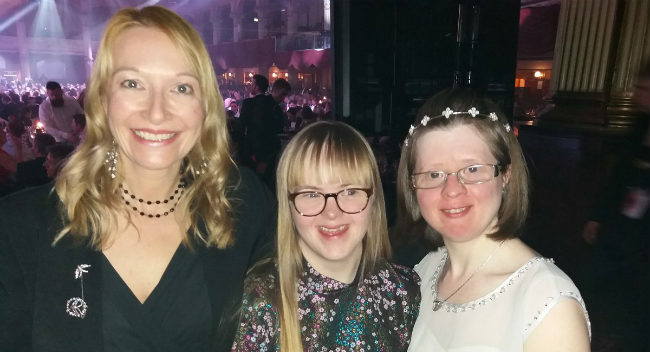 The charity was founded by dancer Jen Blackwell, who happens to have Down's syndrome, after she found it difficult to find opportunities in community dance due to her disability. DanceSyndrome's ethos is that disability should never be a barrier to following your dreams. Dawn has been a driving force behind DanceSyndrome's recent success over the last four years. She generated £200,000 from Spirit of 2012 in 2016 and £160,000 from the Big Lottery Fund in 2017. Dawn is described as "a skilled networker who loves to meet new people and find ways to work in partnership". Dawn's brother has Down’s syndrome and she has a track record of championing people with learning disabilities. In addition to her work with DanceSyndrome, Dawn is a founder director for Spring Into Action, set up in 2012, who support adults with learning disabilities to participate in a variety of inclusive sports activities. DanceSyndrome Project Co-ordinator, Sarah Calderbank, said: "Dawn goes out of her way to make life better for every person that she meets. We are very proud that she has been nominated for the Business Woman Award." Dawn said: "I feel really honoured to have been nominated for this award. DanceSyndrome is a wonderful organisation and I strongly believe in our mission to empower and include people." "I hope that this award nomination highlights the wonderful work that we do and encourages more people to get involved!" Image: Dawn Vickers (left) with dancer Becky Rich (centre) & Founder Jen Blackwell (right) with the Not-For-Profit Award that they won at the 2017 Red Rose Awards.